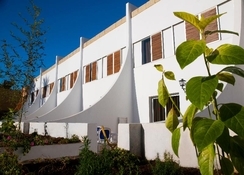 Just a 5-minute walk from the golden sandy beach in Playa de las Americas on the Canarian island of Tenerife, Las Piramides Resort offers an array of well-furnished studios and apartments that are perfect for families, couples, and group of friends. Each of the accommodation options are designed in contemporary style and comes complete with a host of amenities to make your stay a pleasant one. These pocket friendly apartments enjoy a charming seafront location, but at the same time they are conveniently located near the town centre. The complex features 4 outdoor swimming pools, 2 of which are heated, as well as playground and games room for both adults and kids. The young guests also have a kids’ park to let off steam. 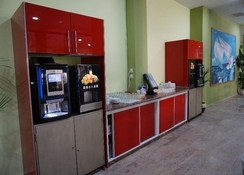 The on-site buffet restaurant, café and snack bar offer unlimited food and drinks any hour of the day. Guests can also enjoy drinks by the pool side at the pool bar. The Las Piramides Resort enjoy a beautiful location by the azure Atlantic and golden sands – the famous Playa de Troya beach is only 400 metres away. 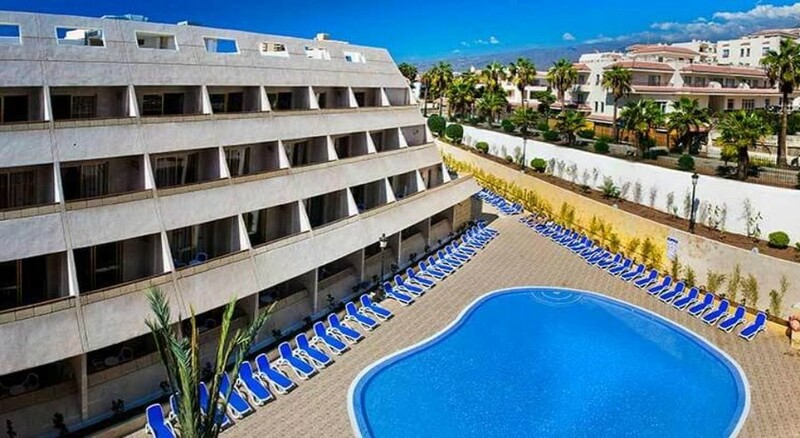 Despite its serene, beachfront location, the hotel is in proximity to the main town centre of Playa de las Americas, which is only an 8-minute walk from the property and is surrounded by restaurants, bars and market areas. There are a number of Tenerife attractions that are easily accessible from the hotel, such as Mount Teide, which is a 20 minutes-drive away. The nearest airport is Reina Sofia International Airport – 17 km from the hotel. Spread across two buildings that are four storeys high, Las Piramides Resort offer a total of 366 spacious, neatly appointed rooms. Some of the rooms have direct view of the sandy beach, while others afford views of the mountains in the surrounding and the pool area. 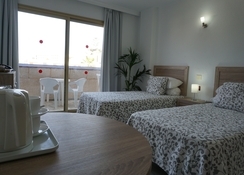 Guests can choose between studios and rooms with one or two bedrooms. 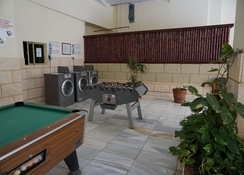 Studios can accommodate up to two persons, one bedroom apartments can host a maximum of two/three adults and two kids, and family rooms can sleep up to six guests. All apartments and studios come equipped with a private balcony or terrace fitted with a sitting area, a fully functional kitchen, bathroom with shower or bath, telephone, safe and satellite TV. The dining options at Las Piramides Resort include buffet restaurant, café, snack bar and pool bar. 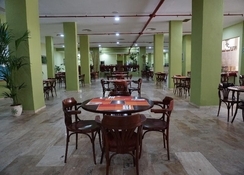 The main restaurant serves local and international cuisines for breakfast, lunch and dinner in buffet style. The pool bar and the snack bar serves cocktail, mocktails, shakes and smoothies, as well as delicious snacks. The hotel also houses a café where you can savour tea, coffee and other beverages. If you need to pick up a few groceries during your stay, the on-site supermarket serves all your needs. With four large swimming pools (for both adults and kids), two of which are heated, the hotel offers amazing water fun for its guests. The pools are fitted with sun parasols and loungers, where the guests relax while having refreshing drinks from the pool bar. It will be an exciting stay for golf lovers, as the Golf Las Americas is only 2.5km from the resort. great place to stay.very friendly staff.clean and food was good. Positive. Happy with rooms and hotel licayion. Staff were friendly and helpful. Plenty of spaces /sun loungers near pools. Slightly cheap evening entertainment. Perfect for a week away with my mum - location was good - close to shops, places to eat - and only a 15 minute walk to the beach........room was quiet - and clean. Balcony overlooked the small pool. No complaints for the price.